Via Allocation you can re-check if the application has correctly registered you under your stu-number. If this has not been done correctly, please register again and inform the University Computing Centre (Rechenzentrum) of the error. 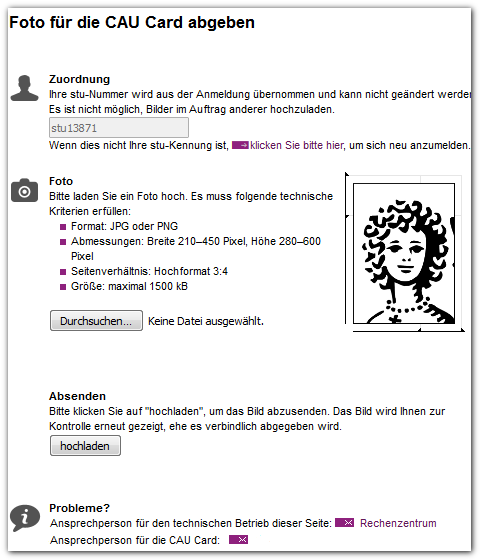 The following process can be divided into two steps: Selecting an image file and then uploading the file.